The historic archaeological-treasure city of Palmyra fell to the Syrian Army on March 27 (Easter Sunday in the West). Palmyra had been under the control of the Islamic State in Iraq and Syria (ISIS) since the terrorist group seized the city in May of 2015 - the seizure of Palmyra was part of a larger military campaign in which ISIS made huge territorial gains as it advanced on the major Syrian cities of Hamah and Homs. 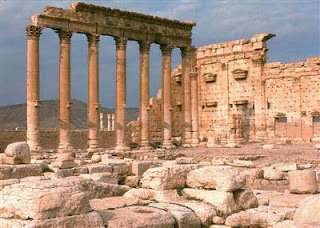 The retaking of Palmyra is the latest in a series of successful Syrian Army operations in the provinces of Homs, Hamah, Idlib and Aleppo. These are the very same areas that last summer the Syrian Army was forced to cede to anti-regime rebels - and in some instances, to jabhat al-nusrah (The Victory Front), the al-Qa'idah affiliate in Syria. The Syrian regime's change of fortune is directly attributable to intervention of Russian Air Force fighters and fighter bombers operating from Humaymim Air Base in northwestern Syria, long range bombers operating from bases in Russia, as well as cruise missiles launched from Russian Navy ships in the Caspian Sea. That intervention began in September 2015 with the deployment of Russian combat aircraft to Syria, and has continued virtually unabated ever since. When Russian President Vladimir Putin ordered the deployment of combat aircraft to Syria, he claimed that his pilots were tasked with attacking terrorism targets - specifically ISIS targets. In reality, 85 to 90 percent of the strikes flown by the Russians targeted anti-regime rebels - the obvious goal of these strikes was to ensure the survival of the failing regime of Syrian President Bashar al-Asad. The rebels bearing the brunt of the Russian air strikes included groups receiving support - money, weapons and training - from the U.S. Central Intelligence Agency. In the recent operation to retake the city of Palmyra, the combined airpower of the Russian and Syrian air forces was the key factor in the success of the Syrian Army. ISIS has no air force and minimal air defense capabilities to use against Russian and Syrian fighters and helicopters. The two air forces were able to easily isolate the ISIS fighters in Palmyra from their logistics support about 120 miles to the north in ISIS's self-proclaimed capital city of al-Raqqah. On one hand, ISIS's loss of Palmyra to the Syrian Army is symbolic. It is another defeat - likely the most serious ISIS defeat thus far. They have been defeated now in Kobani and Palmyra in Syria, as well as Tikrit, Bayji and al-Ramadi in Iraq. ISIS leaders have to be concerned how this series of defeats might affect recruiting. Considering the high numbers of casualties the group suffers in its military operations, continued recruitment of new fighters is critical to its survival. On the other hand, the defeat in Palmyra is operationally significant - the city is a major logistics hub and the gateway to al-Raqqah. Recapture of the city will allow Syrian military forces to push east towards the ISIS-encircled city of Dayr al-Zawr, about 120 miles away. There is a besieged Syrian Army garrison there at an air base. The garrison has survived only by continuous airdrops of food and ammunition. The fall of Palmyra is not the end of the war against ISIS in Syria, although it may be a critical first step. Given the attempts by the U.S.-led coalition in Iraq to isolate the city of Mosul from the capital of al-Raqqah - by air strikes and ground operations by Kurdish peshmerga forces - ISIS may find itself divided into enclaves with no lines of communications between them. It might not be the end of the war, but it might be the beginning of ISIS's eventual defeat. Then we can focus on saving Syria. On a personal note, I hope the Syrians (and the Russians) didn't have to destroy the treasures of Palmyra to recapture the city. I have been there many times - it truly is an amazing place. More U.S. ground troops to Iraq - further down that slippery slope? A U.S. Marine was killed in Iraq on March 19 during an attack on an American firebase located on the front lines between Iraqi forces and the Islamic State in Iraq and Syria (ISIS). That same base was attacked again two days later, prompting headlines like this: "The Pentagon to Expand Secret Military Firebase in Iraq After Marine Killed." According to American military public affairs officers, the "secret" base is located near the Iraqi city of Makhmur. The base, along with other military garrisons in the area, will play a key role in the preparations for the military campaign to retake Mosul, Iraq's second largest city. Mosul is only about 45 miles from Makhmur, and thus is a primary marshaling and staging area for the campaign to retake Mosul from ISIS. The Iraqis are pouring large numbers of military units into the area, as well they should. This will be a major campaign, larger than anything the Iraqi Army has undertaken since the (premature) withdrawal of American forces in 2011. The battles for Tikrit, Bayji and al-Ramadi were good rehearsals, but Mosul is a much tougher challenge. It is larger and will involve long lines of communications. It will take time to amass the required forces to liberate Mosul - ISIS has had two years to build defenses, including mines, booby traps, barriers, as well as pre-surveyed kill zones. I, along with other military analysts, are skeptical that Iraqi forces will be ready for an assault on Mosul this year. There are several troubling aspects of this recent incident and the Obama Administration's response. First and foremost, we have the loss of a U.S. Marine - Staff Sergeant Louis F. Cardin, 27, of Temecula, California. I believe it important that I include the name of this young man who was killed in action in the service of our country. I hope the Obama Administration does not dishonor his sacrifice by attempting to describe this as anything other than a combat death. The Marines are manning what is called Firebase Bell. They are on a firebase exclusively manned by Americans - there are no Iraqi forces present. These troops are manning four 155mm howitzers, providing fire support to Iraqi forces. The Marines' M777 155mm howitzers are effective and highly accurate weapons, capable of tremendous firepower at ranges up to 25 miles. Given the location of the firebase at the forward edge of Iraqi government control - in this case in the form of the Kurdish peshmerga - it is no wonder that ISIS wants to silence those guns. That said, I fail to understand how these Marines are considered anything but "boots on the ground." With no Iraqi forces present, how can their mission possibly be construed as "advise and assist?" It can't - they are there to protect other American forces as well as Iraqi troops in the area. What bothers those of us who are old enough to have served in Vietnam is the perceived re-emergence of the "firebase mentality." It failed then, and it will fail now. More shades of Vietnam - the incremental escalation of the number of American forces on the ground, coupled with the gradual expansion of their role. What began as a few hundred advisers has grown into several thousand troops from all services, including a special forces contingent conducting direct action missions. That is called "mission creep." It was on one of these direct action missions last year that we lost a U.S. Army Special Forces noncommissioned officer. Master Sergeant Joshua Wheeler, 39, of the famed Delta Force was killed - again, the Administration attempted to create the fiction that his was not a combat death. Shameful. In response to the two attacks, the Pentagon is deploying additional Marines from the 26th Marine Expeditionary Unit (MEU) to Firebase Bell, adding to the already almost 4,000 American troops on the ground in Iraq. The numbers can be deceptive, though. They do not include the thousands of American forces spread throughout the region - but not in Iraq - who conduct and support the air campaign, and maintain a robust naval presence in the Persian Gulf. That naval presence includes the Wasp-class amphibious assault ship USS Kearsarge, with almost 2000 Marines of the 26th MEU embarked, and the helicopters to deploy them. These are combat troops, not advisers - yes, boots on the ground, despite the Administration's word games to the contrary. To complicate matters, an Iranian-backed Iraqi Shi'a militia (probably at the instigation of perennial Iraqi troublemaker Muqtada al-Sadr) warned that U.S. Marines would be considered occupation forces, despite the fact that they are fighting ISIS. We had a chance to neutralize Muqtada in 2003 - we should have availed ourselves of that opportunity. I digress. Make up your mind, Mr. President - are we in this fight or not? If we are, go big. If we are not, go home. Iran's ballistic missile program - more fallout from the "Kerry Collapse"
Iran continues to develop its ballistic missile capabilities, taking advantage of yet another loophole in the Iranian nuclear deal negotiated by Secretary of State John Kerry. It seems that not a month goes by since the implementation of the agreement that we learn more details about how the Iranians outmaneuvered Mr. Kerry yet again. Secretary Kerry has a history of being a weak negotiator - the Syrian chemical warfare agreement and the so-called cessation of hostilities in Syria are examples. * That said, the one Kerry negotiation that tops the list is the Iranian nuclear agreement, known officially as the Joint Comprehensive Plan of Action (JCPOA). I am speaking about the slight change in wording of United Nations Security Council Resolutions (UNSCR) as part of the JCPOA negotiations that the Iranians were able to get Secretary Kerry to include in the final document. The wording is so slight to escape scrutiny during the Congressional review (if you can call it that), but the meanings are significant. Prior to the Iran nuclear negotiations, there was a UNSCR addressing Iranian ballistic missiles in force. UNSCR 1929, adopted in June 2010, included the decision that "Iran shall not undertake any activity related to ballistic missiles capable of delivering nuclear weapons, including launches using ballistic missile technology, and that States shall take all necessary measures to prevent the transfer of technology or technical assistance to Iran related to such activities." I highlighted the words "shall not" for a reason. Here is the "Kerry Collapse." In response to Minister Zarif's demand, Secretary Kerry agreed that the missile development restriction would expire completely after eight years from the implementation of the agreement, and in the intervening period - and this is a quote - Iran is "called upon not to" develop ballistic missiles. I am not a lawyer, but even I know the difference between "shall not" and "called upon not to." For those still confused, the former is mandatory; the latter is voluntary. Since the adoption of what I consider a flawed nuclear agreement negotiated by Secretary Kerry, the State Department - including the Secretary himself - has argued in front of the Senate Foreign Relations Committee (of which Secretary Kerry was a member) that there is no difference between "shall not" and "called upon not to." It goes on, but you get the idea. While Secretary Kerry may not grasp the difference, the rest of the world has. A sane person believes that John Kerry either wanted to make a deal with the Iranians no matter what the cost, or that he does not grasp the difference between "shall not" and "called upon not to." John Kerry, a graduate of Yale University and Boston College, should be able to discern the subtle nuances between the two phrases. Most people will assume - and I agree with this assumption - that the Obama Administration's goal was a deal at any cost. The Iranians obviously know the difference between the two phrases, and have exploited that Kerry-provided loophole to continue their aggressive missile research and development program. The Iranians also believe they have the tacit approval of the United States to continue their missile research and development, a position espoused by the American Secretary of State. * See my earlier article on the Syrian cessation of hostilities agreement, Syria: Cessation of hostilities - was John Kerry outplayed? In a surprising turn of events, Russian President Vladimir Putin announced that Russian forces will begin withdrawing from Syria on March 15, claiming that the troops have accomplished their mission. A translation of his exact words: "I think that the task that was assigned to the Ministry of Defense and the armed forces as a whole has achieved its goal, and so I order the defense minister to start tomorrow withdrawing the main part of our military factions from the Syrian Arab Republic." The immediate question that comes to mind is just what was/is the goal of the Russian deployment? While the stated goal was to conduct military operations against the Islamic State in Iraq and Syria (ISIS), most Middle East observers and analysts (me included) believe the actual mission of the Russian deployment was to prevent the defeat and overthrow of the Syrian regime of Bashar al-Asad. When the Russians made the decision to deploy its force package to northern Syria, the Syrian Army had just suffered a series of defeats at the hands of almost all of the factions seeking to remove the regime. Syrian regime forces had been almost completely pushed out of much of the Aleppo area and virtually all of Idlib province, and the main highway from the city of Hamah to what forces remained in Aleppo was under rebel control. At one point, President al-Asad announced that his troops were consolidating their defenses around strategic areas - in other words, he was ceding control of parts of the country and pulling back his forces to make sure his regime was able to survive. It was reminiscent of 2012. At that time, the primary antagonist to the Syrian regime was the Free Syrian Army (FSA). The FSA had essentially routed the Syrian Army and was on its way to Damascus. It was only through the massive intervention of Iranian Islamic Revolutionary Guard Corps (IRGC) fighters - including members of the very-capable Qods Force - and thousands of Hizballah fighters from neighboring Lebanon that the al-Asad regime was able to survive. At that same time, the refusal of the West (European countries and the United States) to provide meaningful assistance to the FSA led to the introduction of an al-Qa'idah affiliated element into Syria from Iraq, creating what was initially called al-Qa'idah in Syria, and later the Victory Front - Jabhat al-Nusrah in Arabic. That organization merged with al-Qa'idah in Iraq to form ISIS - Jabhat al-Nusrah later split from the newly-formed group and remains in the fight today. Fast forward to 2015. 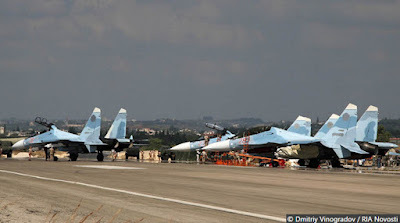 The Syrian Army, despite as many sorties as the Syrian Air Force could generate, was being pushed back, and it appeared that the regime as again faltering. The continued presence of Iranian, Hizballah and the recently deployed Iraqi Shi'a militias and even some Afghan fighters, was not enough to relieve the pressure on regime forces. Enter the Russians, ostensibly to combat terrorism - ISIS and Jabhat al-Nusrah in particular. While they did conduct a few sorties and missile strikes against the two terrorist organizations, the vast majority of Russian air operations were targeted against the anti-regime rebel groups, many of whom are supported by the United States and its allies. The Russians, through brute force - very little of their ordnance was of the precision-guided variety - were effective. Since they began dropping bombs and firing missiles on September 30, 2015, they have successfully altered the situation on the ground. The Syrian Army, under the umbrella of massive Russian air support, has been able to retake virtually all of the territory they had lost to the rebels, push north to almost surround and cut off the city of Aleppo, consolidate their supply lines to the city, push rebel forces east out of the mountains overlooking the northern port city of Latakia - including the home of Bashar al-Asad's politically-powerful 'Alawite minority - and relieve pressure on Damascus from rebel groups in the eastern suburbs of the city. Successful, yes, but have they actually guaranteed the survival of the Syrian regime? Maybe, maybe not, but the timing of the announcement is interesting. Syrian peace talks resumed in Geneva on the same day Putin made the announcement - is he telling Bashar al-Asad that it is time to reach a political agreement? One could make that case. 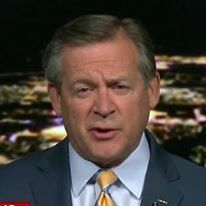 When the Russians intervened, in my role as a CNN military analyst, I stated that Putin's primary interest in Syria is not the regime of Bashar al-Asad. Rather, it is a regime or government that will allow the Russians continued access to the joint Russian-Syrian naval facility at Tartus, access to the port at Latakia, and possibly the Humaymim Air Base just south of Latakia. Humaymim is the base being used by Russian aircraft to conduct most of the operations in Syria. Are the Russians going to completely withdraw from Syria? No, they will maintain some level of force in the country for several reasons. 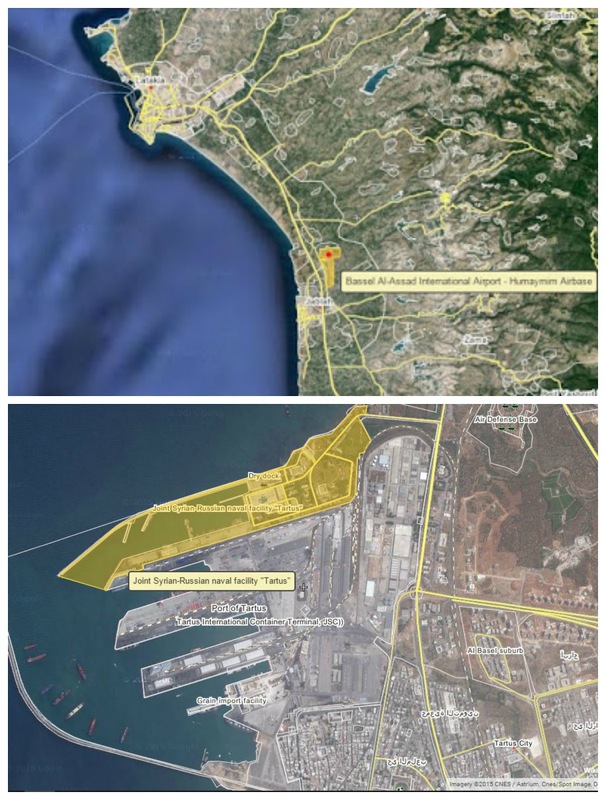 In addition to maintaining a presence which guarantees access to the air base and naval facility, they need to ensure that they have input to the future of Syria. It may not be a future with Bashar al-Asad - despite the regime's "red line" that Bashar remain in power - but it will be a future acceptable to Vladimir Putin. First, in the title of this piece, I ask if this withdrawal is a sham. It is a play on words for my readers who understand Arabic. Al-Sham is the Arabic word for either the city of Damascus, the country of Syria or the region of the Levant, depending on context. The announcement took many of us by surprise - I am not sure if it is real or merely political theater. The red reads: Putin orders the withdrawal of Russian forces from Syria beginning tomorrow, Tuesday. The comment above the red: Now: The Russian bear announces the withdrawal of its forces from Syria, leaving the tail of the dog alone (as in "wag the dog"). According to Secretary of Defense Ashton Carter, soldiers from the U.S. Army's Delta force have detained a major operative of the self-proclaimed Islamic State (more commonly referred to as the Islamic State in Iraq and Syria, or ISIS) in the last few days. 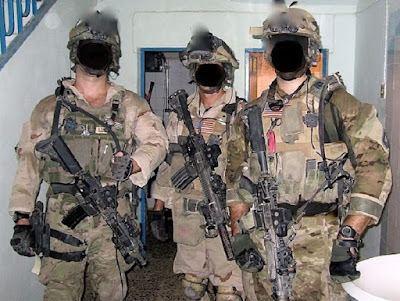 The Secretary had announced earlier that U.S. special operations forces (of which Delta is a key member) will be expanding operations in Iraq and Syria, a prelude to the long-awaited (and long-promised) campaign to retake the city of Mosul. Mosul, Iraq's second largest city, was seized by ISIS after a short fight in June of 2014 in which the Iraqi Army virtually collapsed in the face of the Islamist fighters. The Secretary's remarks were amplified by Chairman of the Joint Chiefs of Staff Marine General Joseph Dunford, "Operations against Mosul have already started. We're isolating Mosul, even as we speak. The same thing with Raqqah." The Chairman is no doubt referring to successful Syrian Democratic Forces - an alliance between Sunni Arab Syrians and Syrian Kurdish peshmerga forces - and Iraqi Kurdish peshmerga units cutting vital supply lines in both Syria and Iraq between ISIS's declared capital of al-Raqqah and Mosul. Secretary Carter's and General Dunford's words are welcome, but also point to a lingering belief that the Iraqi armed forces are incapable of removing ISIS from Mosul without substantial U.S. assistance. It was always assumed that American airpower would play a major role in any Iraqi ground operation in Mosul, but the expanded role of the U.S. special operations forces is an added capability to develop the intelligence required for the retaking of the city. The new mission - capturing ISIS leaders for the purpose of obtaining intelligence information - represents a departure from previous tactics. In the past, special operations forces were deployed to conduct hostage rescue operations or to kill selected ISIS figures when it was not possible to do so via aircraft or drone strikes. The Obama Administration's realization that there is significant intelligence to be gained via the capture and interrogation of ISIS leaders - rather than just killing them - was a result of a Delta force raid into western Syria in May 2015 in which ISIS gas and oil chief known as Abu Sayyaf was killed. Abu Sayyaf's wife, known as Umm Sayyaf, was taken prisoner and through interrogations became a gold mine of useful intelligence. Subsequent successful airstrikes against ISIS's illicit oil operations and a key ISIS finance center in Mosul were a direct result of the interrogations of Umm Sayyaf. It was that intelligence success which led to the creation of the Expeditionary Targeting Force, the name applied to the current effort. In any case, it has been a long time coming. Killing ISIS leaders when you have the change to take them alive is counterproductive. It would appear that the recent Delta detention of an ISIS operative is part of that realization. In today's warfare, especially in these asymmetric fights, intelligence drives operations. More correctly, timely and accurate intelligence drives effective operations. Hopefully, this new effort will yield that timely and accurate intelligence.